The post viewed most often this past year was on the Five Rights of Delegation. Given the interest, we decided to return to this topic by starting with a case example from Chapter 17 of the Essentials of Correctional Nursing. “The charge nurse during an evening shift at a large state penitentiary is making delegation assignments for the shift. He is working with another RN, an LPN and 2 nursing assistants certified to pass medications. There is a 2 hour medication pass on this shift and an evening sick call. In addition they have 4 patients in the 6 bed infirmary and 2 inmates on suicide watch” (page 333). Recognizing how health care organizations have come to rely on many different types of nursing personnel to deliver patient care, the American Nurses Association provides up to date guidance for nurses making delegation decisions. The following principles, developed by the ANA, form the basis for delegation decisions in nursing practice. Delegation is a fundamental aspect of nursing practice and therefore reflects the nurse’s primary commitment to the health, safety and welfare of the patient. In other words assignments should be responsive to the needs of the patient population. Nurses use critical thinking skills when making clinical judgments about how patient care resources (staff) are allocated to deliver patient care. In addition to the patient’s condition and needs for care, the nurse considers the potential for harm, the stability of the patient’s condition, task complexity, predictability of the outcome and abilities of personnel to whom the task may be delegated and the degree of supervision that will be needed. Nurses only delegate aspects of care that are consistent with the qualifications and allowable scope of practice of personnel to whom the task is delegated. Nurses must be familiar with the scope of practice allowed by state law as well as the employer’s policies and procedures in order to make delegation decisions. 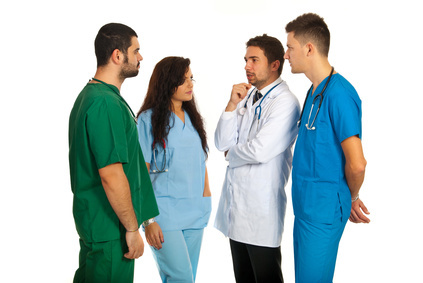 The nurse retains accountability for patient outcomes when making delegation decisions. This is so that the plan of care can be modified, adapted or continued based upon the nurse’s evaluation of the patient’s condition. Personnel assigned delegated duties are responsible for completion of tasks and are accountable for safe performance of assigned tasks according to established regulations and standards. Interpersonal relationships are the foundation on which delegation takes place. Two way communication, respectful behavior and trust are essential to effective delegation. The charge nurse in this case example assesses the needs of the patient population during the shift change or handoff report. One infirmary patient was discharged from the hospital earlier in the day following cardiac catheterization and stent placement. The other three infirmary patients are stable and require convalescent care. One of the patients on suicide watch was admitted only an hour ago and is on constant watch, the other has been on the unit for a day and is on intermittent watch. Correctional officers conduct the watch. There are six patients who have not yet returned from off-site specialty care visits. There were no unusual events or other instances of care noted by the off going charge nurse. Simulation is one of the ways nurses learn and strengthen their delegation skill (Weydt, 2010). Using the principles above how should the charge nurse in our case example delegate responsibility during the shift? Let us know your thoughts on nursing delegation of duties by responding in the comments section of this post. For more on nursing delegation read Chapter 17 in the Essentials of Correctional Nursing. Order your copy directly from the publisher. Use promotional code AF1209 for $15 off and free shipping. This entry was posted in Professional Practice and tagged American Nurses Association, ANA, Catherine Knox, correctional nursing, Delegation, Essentials of Correctional Nursing, jail nurse, prison nurse, Standards of Practice. Bookmark the permalink. Of the 5 Rights of Delegation the one that is most often missed is communication. Everyone gets busy during the shift and updating each other on the patients changes is left for change of shift. Thus heeds the importance of a shift report where all staff attend to share and make plans for the next shift.